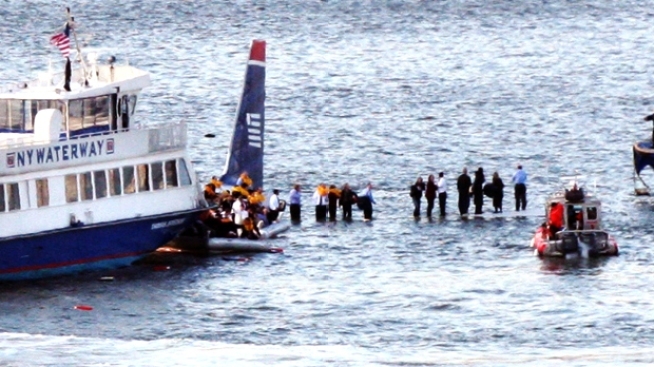 Controller Thought Sully's Move Was "Death Sentence"
Ferry boats surround US Airways Flight 1549 in the Hudson River on Jan. 15, 2009. The air traffic controller who handled US Airways Flight 1549 said he thought he was hearing a death sentence when the pilot said he was ditching in New York's Hudson River. Controller Patrick Harten said, "I believed at that moment I was going to be the last person to talk to anyone on that plane alive." The 10-year veteran controller publicly described his reactions to last month's miracle landing in the Hudson for the first time Tuesday before the House aviation subcommittee. Harten said: "People don't survive landings on the Hudson River. I thought it was his own death sentence." Making lightning-quick decisions, Harten -- a controller at the New York radar facility that handles aircraft within 40 miles of three major airports -- first tried to return the airliner to LaGuardia Airport, and then sought to send the plane to Teterboro Airport in New Jersey. 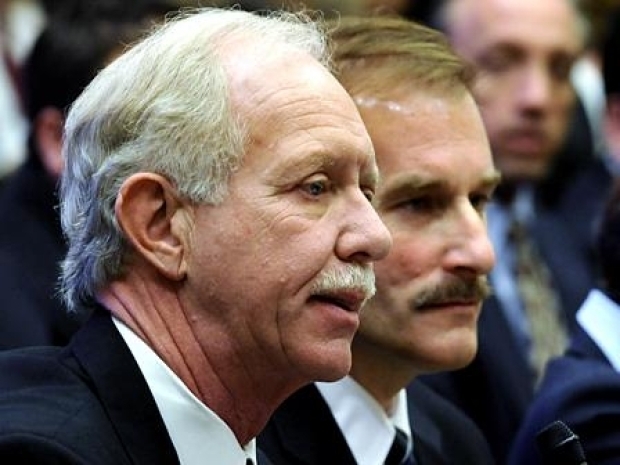 But pilot Chesley "Sully" Sullenberger told Harten he was unable to make either airport. He wound up gliding the plane into the river rather than chance a catastrophic crash in a populated area. Lawmakers want to know what lessons can be learned regarding procedures and training for emergency landings, and how to reduce the potential for collisions between birds and aircraft. Captain Chesley Sullenberger and his co-pilot detailed how the economy is possibly affecting safety for airlines.